Easy to do, but takes several minutes to construct. An assistant is also recommended. When tightening side extrusions to base, remember to keep the extrusion flush to the groove of the base. 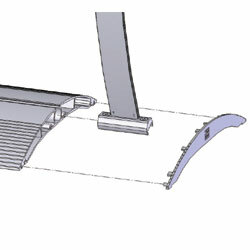 The extrusion tends to "rock" in the base groove, which if tightened this way, your display will not be perpendicular. 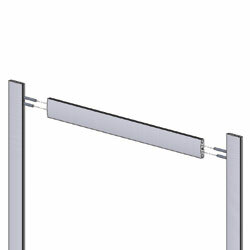 When measuring space for your poster and pockets, please remember to include the poster bars in your estimations. 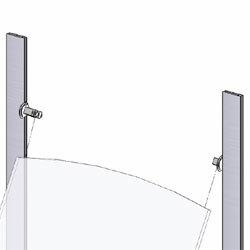 The plastic lenses feature "bump-outs" to help guide your lenses down the grooves of the side extrusions. Once you've attached your pockets, use a water leveler to ensure your shelves are level. Remove end cap from base. 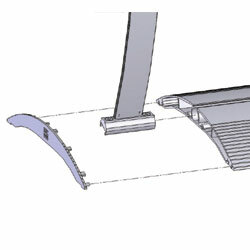 Slide (2) side support into base and secure (1) in place with a screwdriver. Replace end cap. 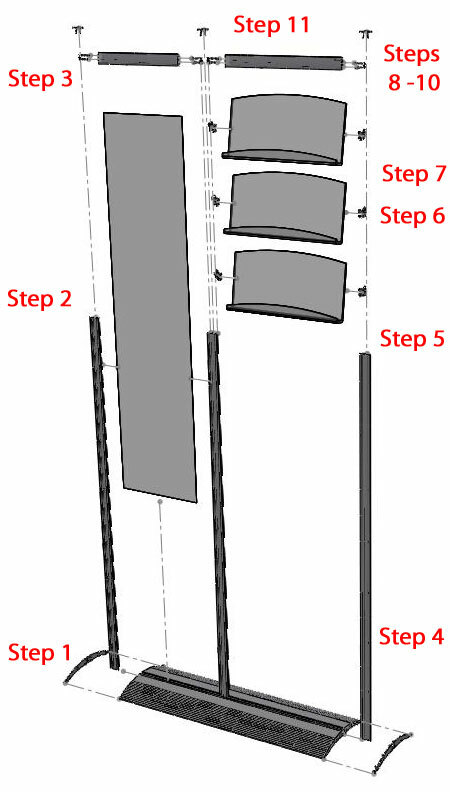 Keep the second extrusion loose to help install your poster. 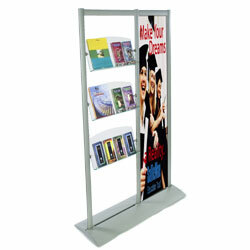 Use a measuring tape or the cross bar to estimate the width of your poster. 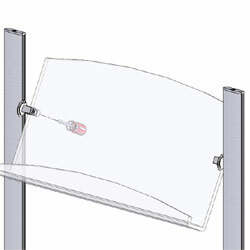 Insert poster and lenses (at the same time) into the grooved channels. Once installed, pull your extrusion and lenses gently apart to relieve any "bubbles". Tighten the second extrusion into the base. 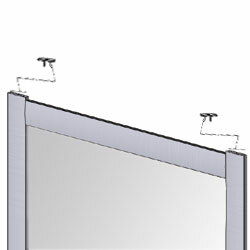 Attach cross bar to top of frame to help keep poster in place. Slide the third side support into the base and secure it in place with a screwdriver. Replace end cap. 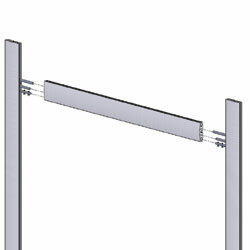 Measure the desired height for each shelf. Attach and secure each shelf bracket onto the side supports, using a Phillips Head screwdriver and the provided Allen wrench. 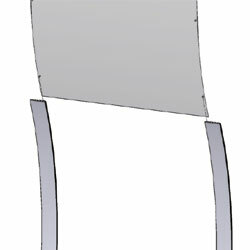 Insert each acrylic pocket into the brackets. Make sure your pocket is lying flush against the bracket to ensure a secure connection. Secure your accessories in place by tightening the plastic set screws. 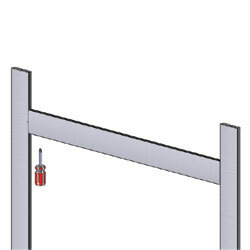 Now you can set up your top cross bar. Use a Phillips Head screwdriver to secure each bracket in place. 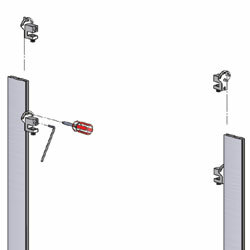 Use a small screwdriver to tighten the connection between the cross bar and brackets. Remember to reattach the end caps to complete your display. 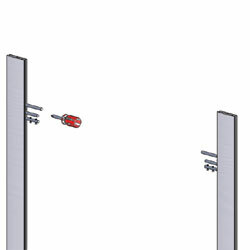 Your display fixture is now ready for accessories!